Best Free Salon Car WordPress theme builds with the powerful Elementor Page Builder, shopping cart supported by WooCommerce 3.x, Responsive Layout, Easy to Customize! A powerful ecommerce website with premium design that inspired from Salon Car WordPress theme will help your business gain more potential customers and increase sale easier! 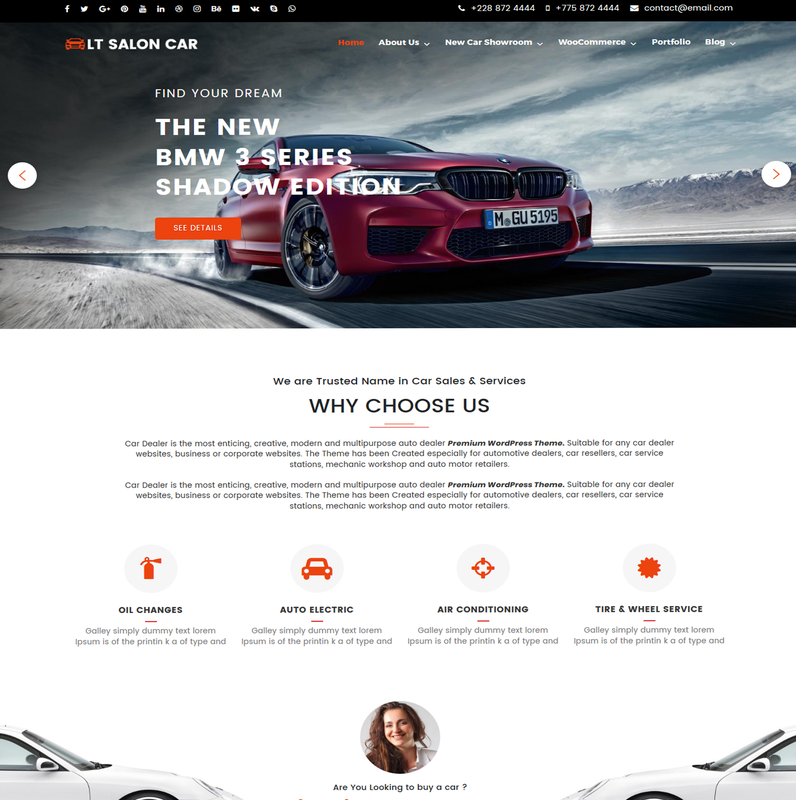 LT Salon Car is a premium e-commerce WordPress theme which is well-suited for salon car/car dealer websites. 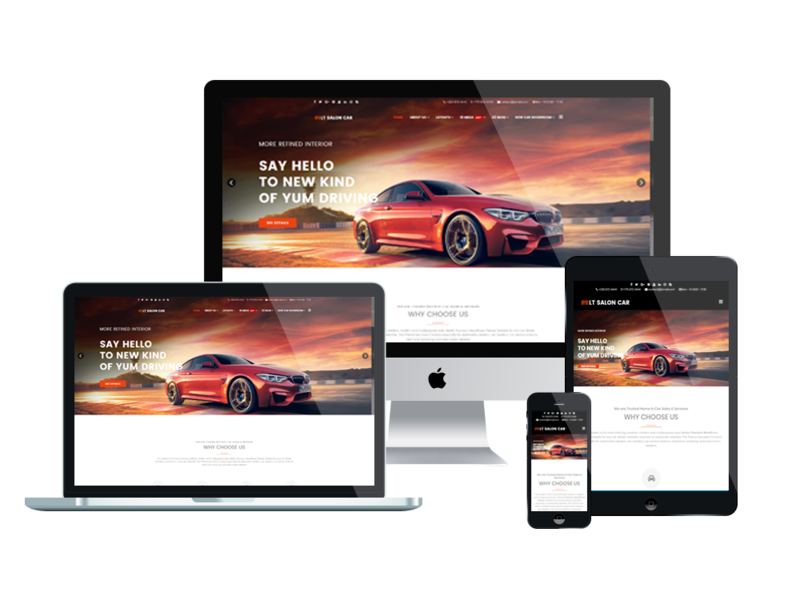 Using luxury car images displaying the vehicles online is the way this theme will attract many new customers to your site. Moreover, by supported online ordering systems and payment method from Woocommerce, LT Salon Car makes it possible for your customers to buy your products online, which encourage revenue rate increase! It supports fully responsive layout in clean and stylish on all screen resolutions of mobile devices, so this theme will be one of your online efficient ecommerce solution to promote the business in the best way. Besides, the theme also allows you to create a colorful website by unlimited color and a color picker from admin panel. Moreover, we offer support services like Bootstrap CSS & Elementor Page Builder, strong shortcode and drag-drop layout content…which are all ready to help you develop your websites with no problem! Give it a go now!